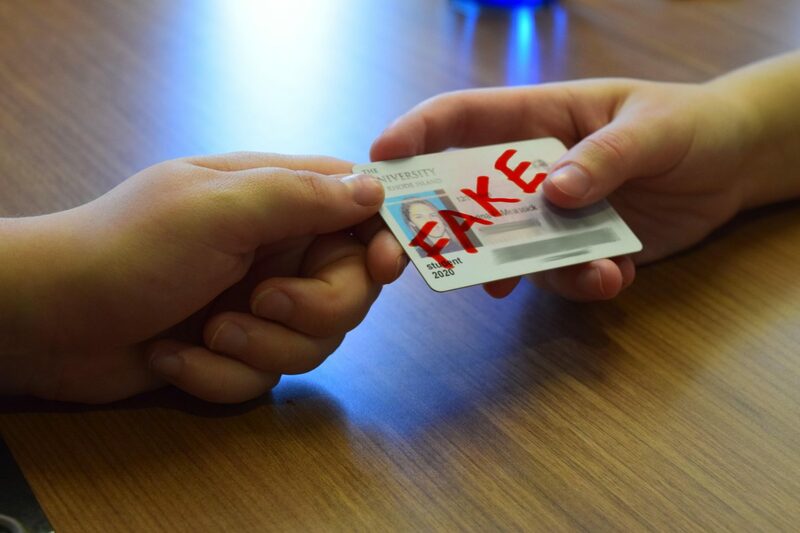 Whether you’re trying to get into a bar off campus on the weekend, or buying alcohol from the local liquor store, the University of Rhode Island and South Kingstown Police are reminding students of the consequences that come with using a fake ID. Last week, URI sent out a notice on behalf of the South Kingstown Police Department reminding students that the use of fake IDs to enter drinking establishments, although a minor infraction, is illegal. The three most common offenses South Kingstown Police see associated with fake IDs are misrepresentation of age, transportation of alcohol and possession of alcohol, according to Lt. James Krajewski of the South Kingstown Police Department. Depending on situational circumstances, the first offense can call for anywhere from a $150-$750 fine, the second offense involves a $300-$750 fine and the third offense involves a $450-$950 fine. In addition to these charges, any person who uses a fake ID will also have to complete 30 hours of community service and is subject to a suspension of his or her license for a minimum of 60 days. However, the police department offers an alternative option that dismisses all charges if the person completes 20 hours of community service for a non-profit charitable organization and makes a $150 donation, also to a non-profit charitable organization, according to Krajewski. “It avoids them getting a criminal record, but they’re still mirroring what they’d be mandated to do by law if they were convicted, without an actual conviction,” he said. Capt. Joel Ewing-Chow of the South Kingstown Police Department said that the ultimate goal is not only to keep everyone safe, but also to educate students and let them know that it’s not OK to drink underage. The police department said that they are not there to throw students in jail, but they hope the staff at the local establishments can recognize the difference between a real ID and a fake ID. Gregory Ohadoma, a bouncer at Charlie O’s Tavern in Narragansett, said he sees fake IDs just about every weekend. “I’m looking at the weight, height and eye color because I can tell by those descriptions if that’s the person standing there,” Ohadoma said. The background of the picture, holograms and general designs of certain licenses are also things he said he pays attention to while on the job. “Let’s face it, we live in a college environment,” Ewing-Chow said. “We know that those things happen, so we need to step up enforcement efforts sometimes to make sure those things don’t happen.” The police department uses discretion when it comes to sentencing for someone who uses a fake ID, however, Ewing-Chow stressed there is absolutely no toleration for driving under the influence. The South Kingstown Police Department sets up patrols that look for intoxicated drivers and arrange bar checks to make sure people aren’t there with fake IDs. Ewing-Chow said that the police department has been pretty successful in keeping the peace of the community with exception to the occasional house party. “We understand that these students are in college and we understand that there has to be a little bit of leeway and we’re not out to throw the book at every single person,” he said. URI and South Kingstown Police also remind students that they will be held responsible for their actions whether they are on or off campus. Any arrest or charge of a student made with South Kingstown Police will be reported and forwarded to the student life office that will then contact the student.